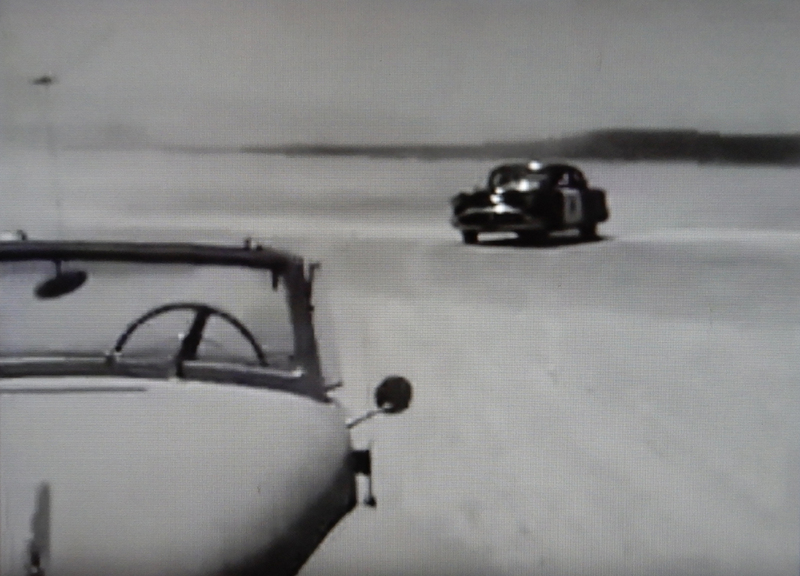 A Driverless ’48 Lincoln in the desert? 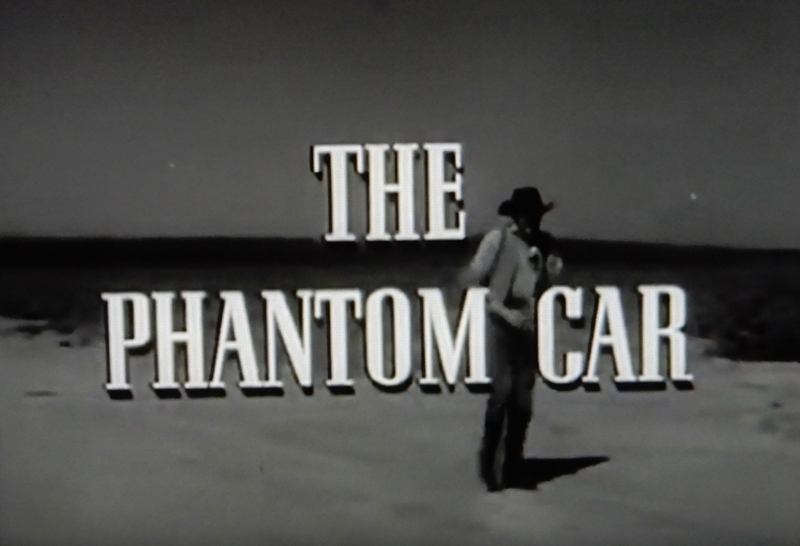 Science Fiction Theater’s Episode of The Phantom Car! Posted August 30, 2017 by HPGhotrodLogin & filed under Uncategorized. 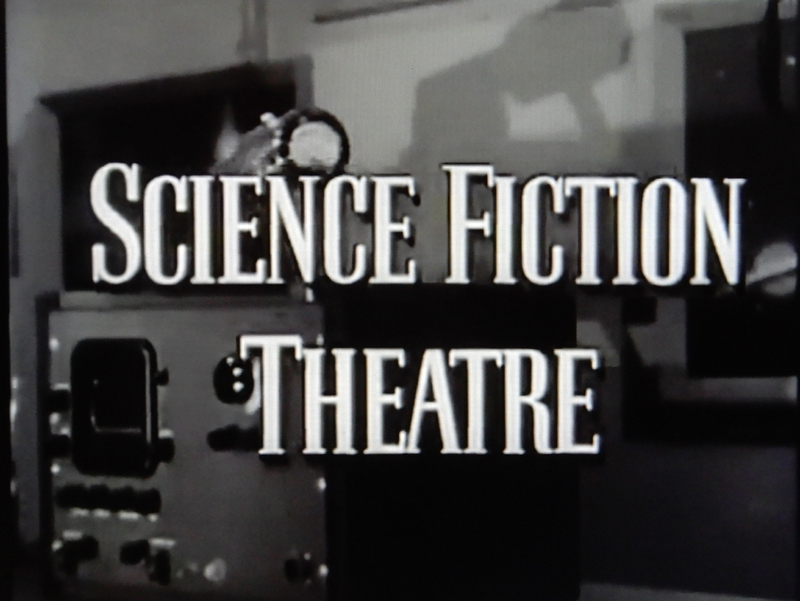 In 1955-1957 there was a show on American Television called; Science Fiction Theater. 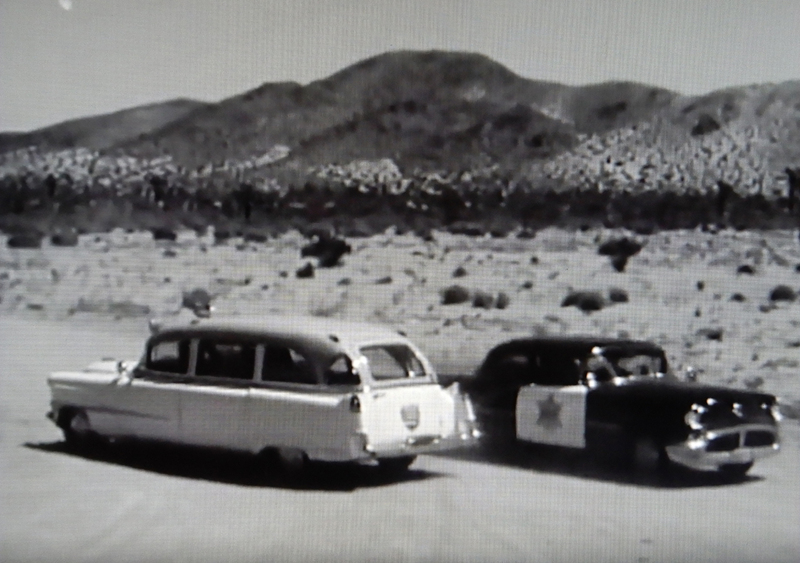 The show was produced by the same folks that brought you the original Highway Patrol series; ZIV productions. Both shows were produced simultaneously. SFT was a weekly anthology series hosted by Truman Bradley, who had been a newscaster and announcer in radio in the 1940’s. The series tried to base its stories on scientific principles, gadgets or breakthroughs. Sometimes the stories had a strong basis on the devices or scientific principles that Truman Bradley demonstrated to the audience and sometimes the connection seemed a little contrived. Many of the stories were interesting and probably even more so back when they were first broadcast. Incidentally, the episodes are available to watch on YouTube. Well, when I first discovered the series, I began scrolling through the episode titles and one immediately stood out to me. The Phantom Car! Naturally, I had to see what it was all about. Fortunately, there was little phantom-ness involved and it did deal with scientific gadgets and not the para-normal. And it turned out that I actually liked the car they used. 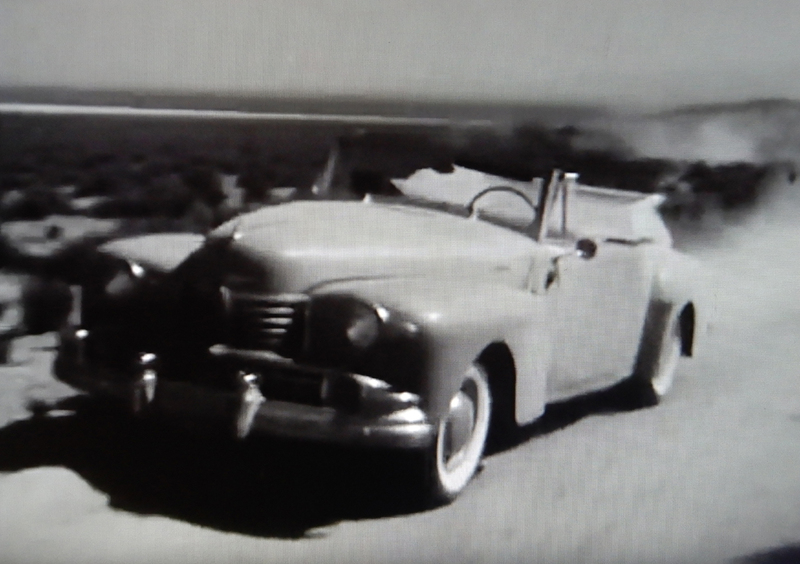 It appeared to be an off-white 1948 Lincoln Continental convertible. A great choice. The car had such classic lines. Although not as handsome as the original ’39, it still deserves respect as a classic luxury car. The episode opens with a crusty old prospector, with very few teeth, taking a rest on the desert floor after a long walk. Where, exactly, he had been prospecting is a mystery. Where’s his burro?Suddenly out of the mirage he sees a dust trail. A car is approaching him and he gets up to flag it down only to see that there is no one at the wheel. It is aiming right for him and he dives to get out of the way. 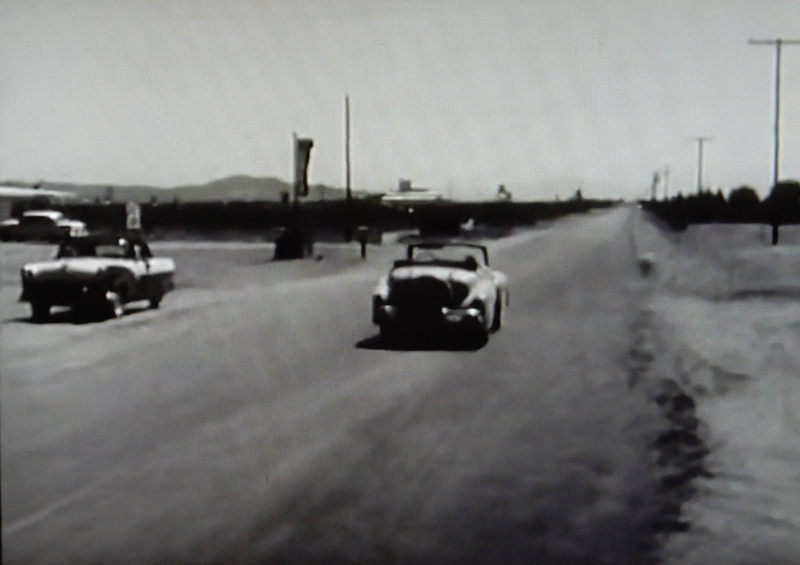 Then the old man runs all the way to a local gas station to call the sheriff, who eventually shows up in a ’56 Oldsmobile. No doubt a car shared with the Highway Patrol TV series. After some convincing the two go out to find the phantom car. At this same time, a newlywed couple is out enjoying their honeymoon in the hot dry desert. (And to think I wasted my honeymoon in Monterey CA!) The husband is a geologist and is on the hill getting samples when he spots the car coming down the road. 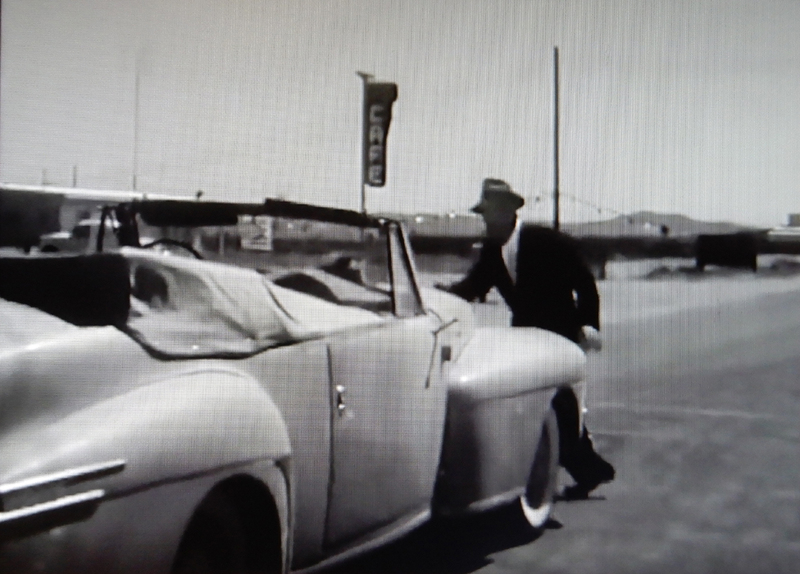 His wife is standing next to their brand new ’56 DeSoto convertible and tries to flag down the phantom car. She is struck and receives a terrible head wound. Her husband then picks her up and puts her in his car to take her to the local hospital. No regard for further injuries as he lets her head flop around like a dead salmon. Her spinal cord could be grinding to powder for all he knows. 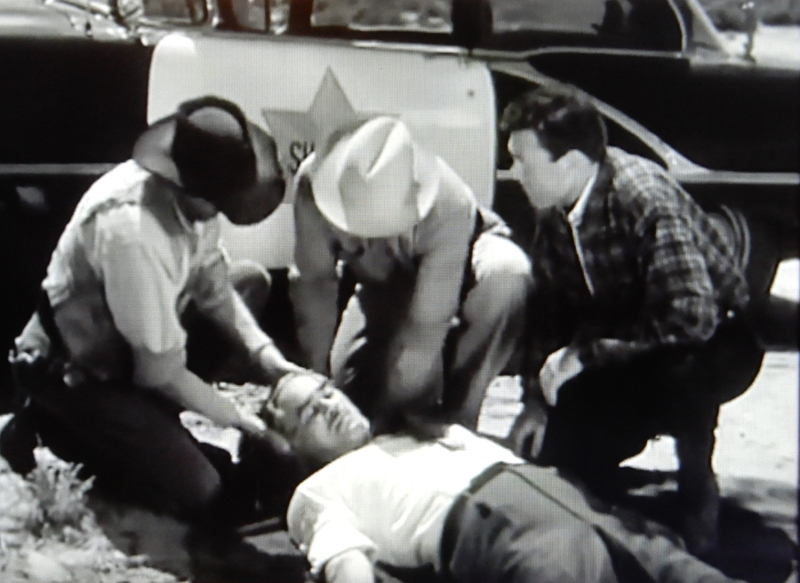 Just then the sheriff and the old miner arrive along with an ’55 Cadillac ambulance that mysteriously showed up. The woman is taken to the local hospital and a head injury specialist clocks-in to help because he received a mysterious phone call about the case. 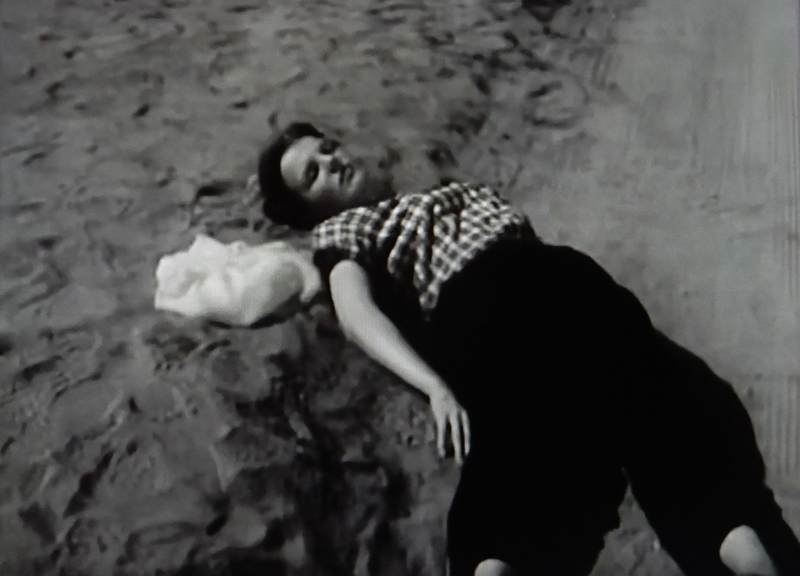 Actress Rachel Ames down for the count. 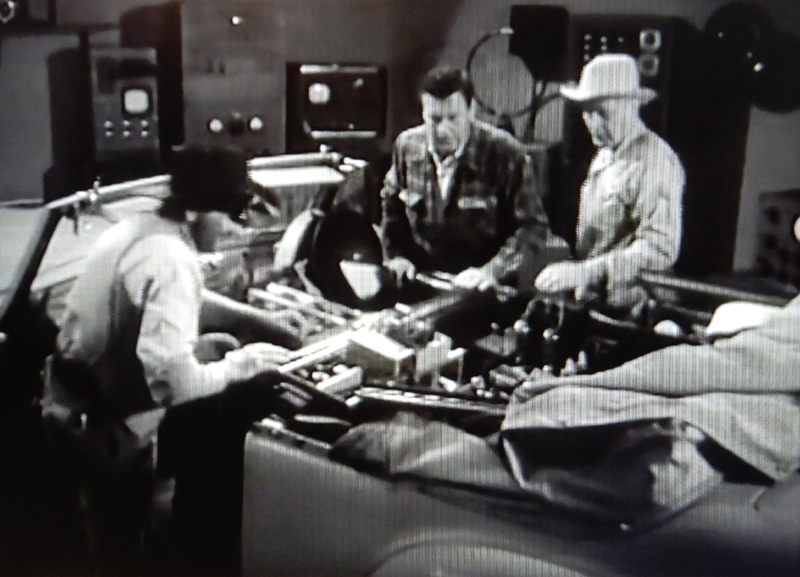 After the sheriff’s unsuccessful chase, the geologist decides to rent a bunch of “high tech” equipment at the local Mesa City five and dime store to try to find this car and stop it. Of course, the sheriff and the old miner are along. 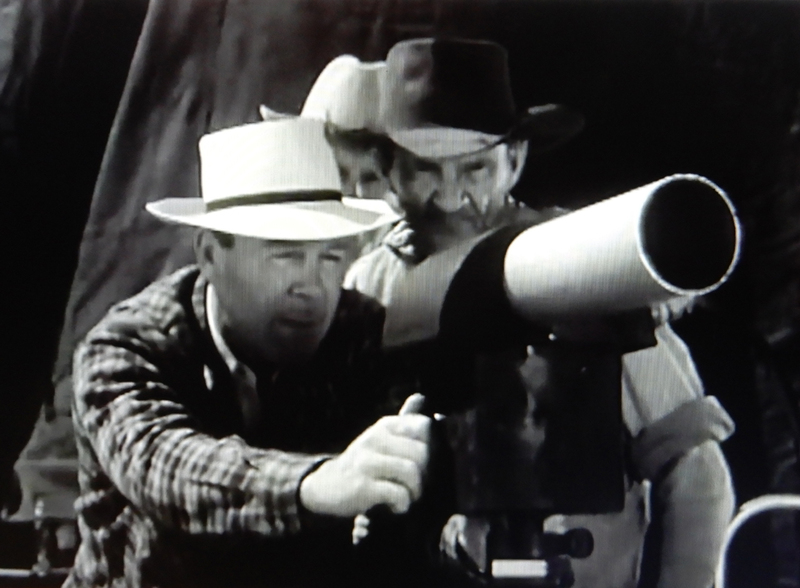 Who wouldn’t trust a toothless old prospector to operate an infrared heat sensor or a shot-gun mic? 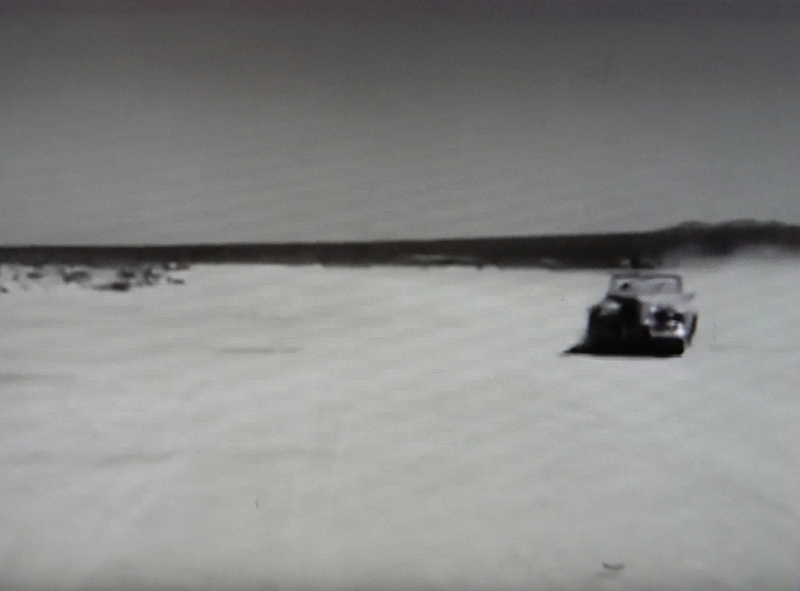 The phantom car approaches and turns just in time to narrowly miss them. Eventually it claims another victim. This time it’s the man who is responsible for building the car! A scientist with the remote control. His gasping confession clues them in to what is really going on. It seems that his intent is to build a self-driving car. The Lincoln is using radar to avoid obstacles. But apparently the radar can’t see people. When the car hit the woman, the scientist made several phone calls and tried to help the newly wed (who eventually recovers). Then the scientist informs them that his remote is smashed and he can’t stop the car! And it’s heading ominously for “Mesa City” (Gasp)! The old miner showing his expertise in caring for severe neck injuries just before the ambulance arrives. The scene changes and the camera is focused on the name of the town spelled out on the pavement. The pilot-less Lincoln passes over the words; “Mesa City” like a charging locomotive. It’s heading for downtown and who knows what kind of mayhem! 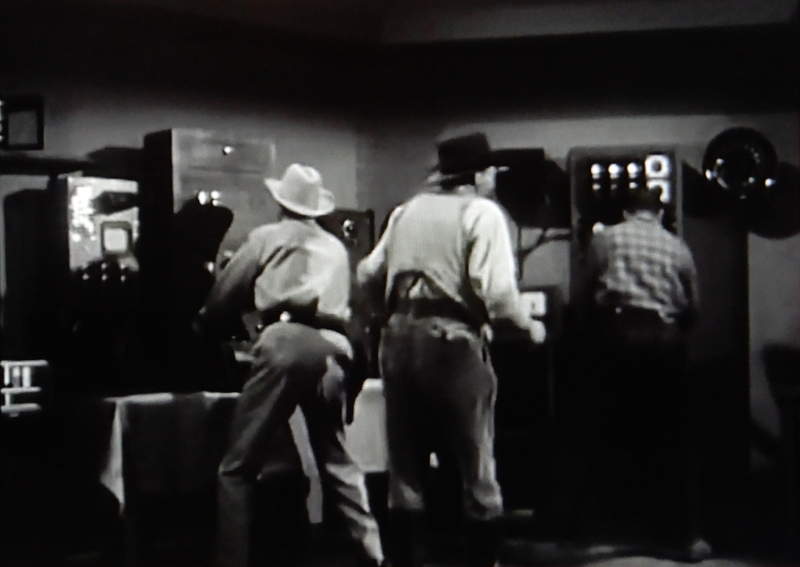 The geologist, the sheriff and the old miner quickly drive to the scientist’s desert laboratory to find the kill switch! After a brief bit of bumbling around, they find the switch and throw it just in time. Why they didn’t just throw the main breaker is still a mystery. The car comes to a harmless stop just as a pedestrian places himself in front of it for no apparent reason. Back at the lab; The car is towed in and all three of them look it over. Yes, including the prospector! It’s always important to get the old miner’s point of view on self-driving technology! They remove the big tonneau cover to reveal the mechanism that was driving the car. It involves a “T” shaped framework in the interior and a back seat full of vacuum tubes. 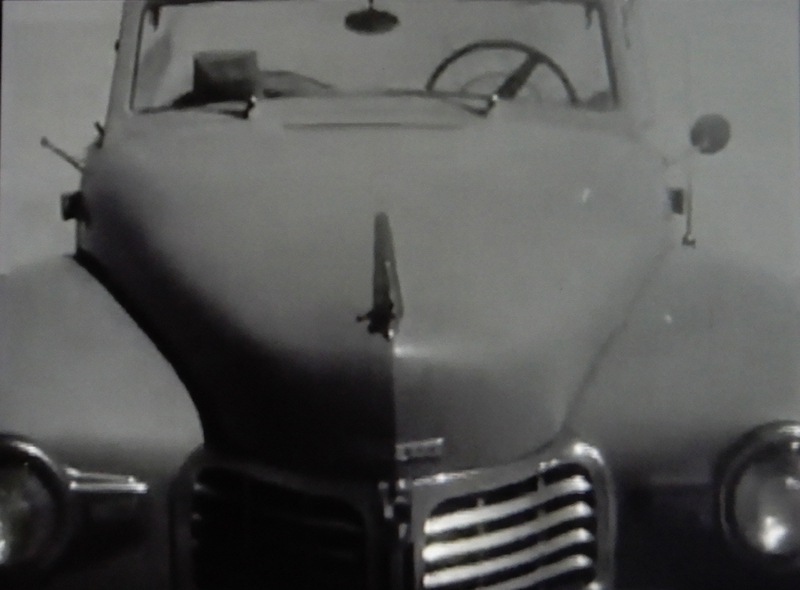 There is some sort of radar equipment in the front, some of which is visible behind the windshield. Then the geologist is so taken with the idea of autonomous cars that he decides he is going to help the scientist perfect the self-driving automobile to save lives. An easy thing to do really since geology and robotics are so similar. Frankly, I think he needs to discuss it with the missus first. I don’t care if she does have a big dent in her head, she needs to be in on his career-destroying decision! As you might be able to tell from my comments, I both enjoyed and really questioned this episode. 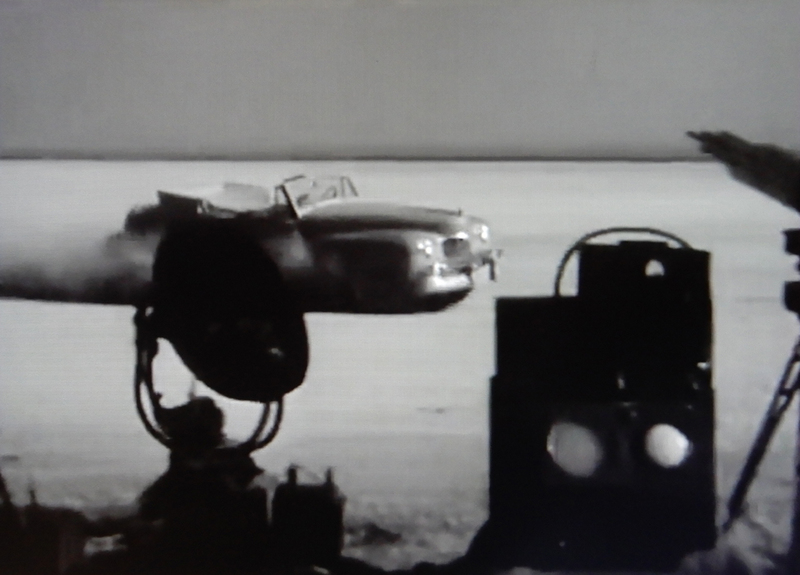 I love the shots of the car driving around the desert floor without a human driver. 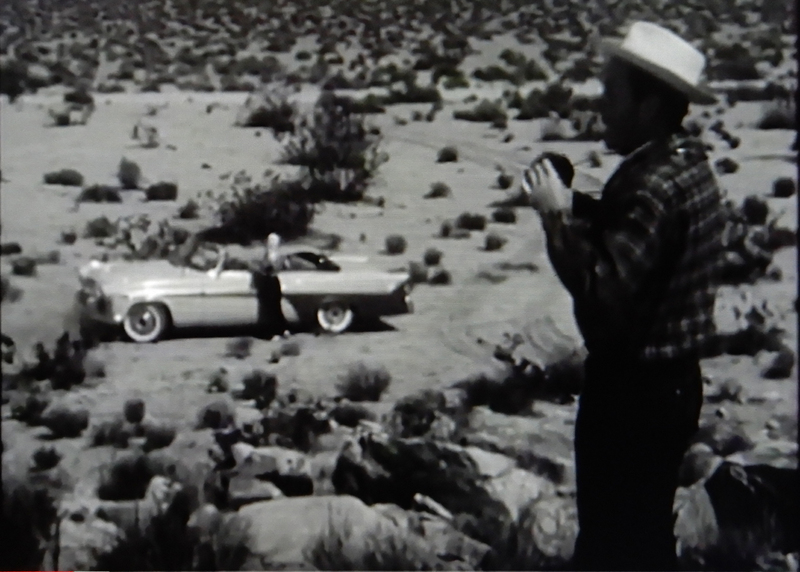 The Lincoln is a great looking car and the footage of it careening around the desert floor leading everyone on a merry chase is certainly enjoyable for the old car enthusiast. Being a connoisseur of old MoPar, I find the newlywed’s ’56 DeSoto convertible to be an eye catcher too. And of the two cars I probably pick the DeSoto first. A fun show to watch, but to be honest, I think the story line is a little weak in places. This episode inspired me to do a quick little painting of the car. I wanted to use it as box art for phantom model kit. Back then a company called Pyro Plastics produced a model kit of that car. Today Lindberg has the tooling. Wouldn’t it have been fun to see Pyro capitalize on that episode and produce a kit of that car! This is my idea of what the box might have looked like. Remember folks, this isn’t real! This faux box art is about 50% larger than the original painting. Hope you enjoyed this edition of the Hot Rod Bunny blog. Hi Brad, I was not familiar with this show but I am a big fan of the “Highway Patrol” series”. I found a book on Amazon that you should check out called “Highway Patrol Locations Then and Now”. I found that a lot of episodes were filmed in Griffith Park. Another interesting note is that a couple people involved with the show later had roles on “Adam 12”, also a great wealth of vintage cars. Your painting of the box top is great. It reminds me that I grew up not far from Pyro Plastics in Union, NJ. I saw it from rt 22, but never visited it. Hi Tom, I recently found the series and I think I have watched all the episodes on YouTube. There are some good ones and some clinkers. 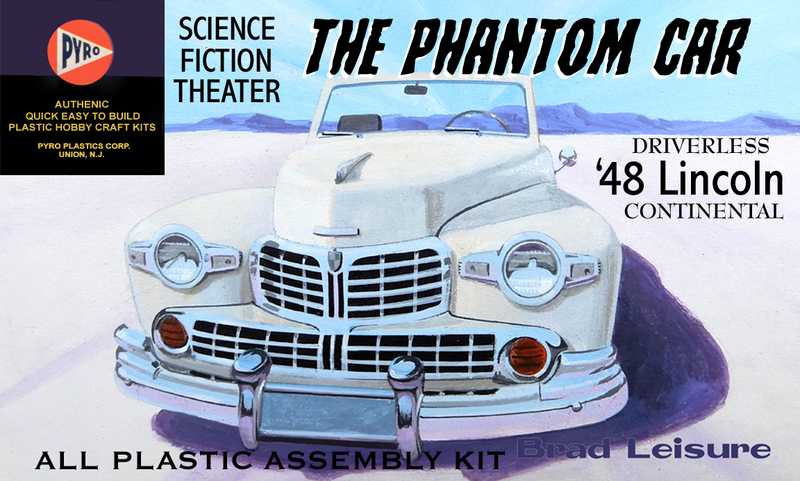 I really liked the idea of The Phantom Car and I didn’t need much more coaxing to do a painting of it. If I had lived close to a model company as a kid I would have been in a constant state of frustration. I had a lot of Pyro kits as a kid. Of course, I have even more now! Thanks for your comments. Always good to hear from you.